Click here for the Easy Read book about Disability Hate Crime. So any incident or crime, which is perceived by the victim or any other person to be motivated because of a person's disability or perceived disability will be recorded as such. This can be committed against a person or property. The Equality Act 2010 (EA) generally defines a disabled person as someone who has a physical or mental impairment that has a substantial and long-term adverse effect on his or her ability to carry out normal day-to-day activities. The EA includes special rules that ensure that people with HIV, cancer and multiple sclerosis are deemed to be disabled people effectively from the point of diagnosis, rather than from the point when the condition has some adverse effect on their ability to carry out normal day-to-day activities. The definition of disability hate crime would include anyone who was targeted as a result of his or her disability or impairment, as defined by the EA, including those diagnosed with HIV. 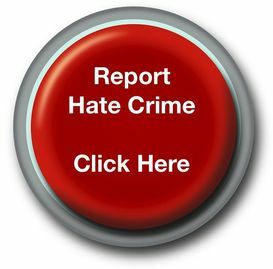 Details on how to report an incident and what you can report is available on the 'Report a hate crime' page. You can use a self reporting form or complete the online form on the 'Reporting online' page. You may also be able to report incidents through the organisations listed on this website on the 'Organisations that can help' page. How will the Police and CPS treat Disability Hate Crime? The Police and other criminal justice agencies consider all hate crime to be very serious, including disability hate crime. When a case is prosecuted, the courts can impose a stronger sentence under powers from the Criminal Justice Act. This reflects the priority placed on these crimes. The Police have performance targets and measures in place to ensure the service they offer is of the highest standard. The Crown Prosecution Service (CPS) is the organisation that takes cases through the court system. They have produced guidance on Disability Hate Crime that is available on the CPS website (opens in new window). You may also want to look at the leaflets on the 'Prosecuting hate crimes' page of this website. The students of Ms Clark's class at the Monument Charter School in the United States have been researching material to help reduce bullying. They want to share a resource with you that they found helpful. It is based in the USA, but has links to many helpful sites. Sorry to hear that bullying is a problem for you too, but it's good that we can help each other, even across the Atlantic. True Vision - Bully for You from True Vision on Vimeo.